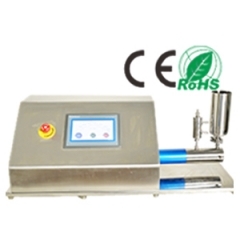 Description: Portable hand driven homogenizer for Concept Testing up to 30,000psi. Portable hand driven homogenizer for Concept Testing up to 30,000psi. 2) Change high pressure gauge with plug for reducing the dead volume.